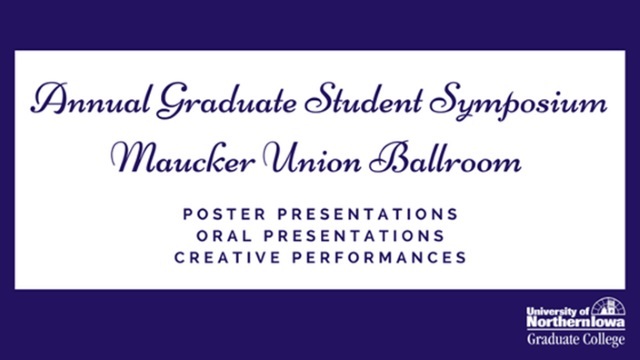 UNI ScholarWorks - Annual Graduate Student Symposium: Women in STEM: When Does Role Congruence Affect Major Choice and Retention? Women in STEM: When Does Role Congruence Affect Major Choice and Retention? Only 16.3% of U.S. undergraduates in 2007 planned to major in STEM (Science Technology, Engineering, Mathematics), with only 2.6% of them women (Higher Education Institute, 2015). The disproportionate rate of men to women in STEM could be sending women cues they do not belong in STEM (Cheryan, Plaut, Davies, & Steele, 2009). Both male and female students perceive majors that are role congruent with the female gender role as being more communal, and majors that are role congruent with the male gender role (Brown, Thoman, Smith, & Diekman, 2015), as more agentic (Stout, Grunberg, & Ito, 2016). Analytical skills may be associated with the male gender role (Leslie, Cimpian, Meyer, & Freeland, 2015), more than the female gender role, suggesting that the analytical skills associated with success in STEM are not role congruent with the female gender role (Diekman & Eagly, 2008). Using Registrar data from Fall 2011, and Fall 2012 of first-year students from the University of Northern Iowa who took the Mapworks Questionnaire and using role congruity theory (Eagly & Karau, 2002), I will examine how communal values, self-reported analytical skills, and ACT Math scores relate to women’s choice of and retention in STEM majors. I predict women will be more communal, have lower scores for self-reported analytical skills, and have lower retention in STEM than men. This study could help strengthen evidence that communal values associated with gender roles and perceptions of analytical skills associated with gender roles, are keeping female students away from STEM majors.